Selkirk Parish is situated in the County of the same name being bounded on the north by the Parishes of Caddonfoot and Galashiels, on the east by the Parishes of Bowden and Lilliesleaf and on the south-east by the Parish of Ashkirk all in Roxburghshire, on the south-west by the parish of Kirkhope and on the west by the Parish of Yarrow. 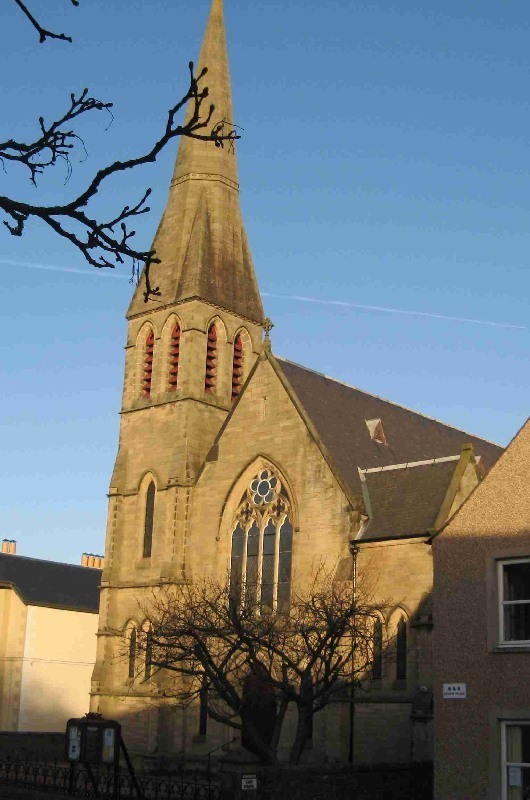 Ashkirk is now linked with the ecclesiastical parish of Selkirk. CD Selkirk Brierylaw Monumental Inscriptions. CD Selkirk Shawpark Monumental Inscriptions compiled by Selkirk Antiquarians. Selkirk Death Records 1748 to 1778 by Nigel Hardie. Selkirk Death Records 1819 to 1835 by Nigel Hardie. Selkirk Death Records 1836 to 1854 by Nigel Hardie. Pre 1855 Memorial Inscriptions Selkirk Ashkirk and Lindean Old Churchyards published by Selkirk Antiquarian Society. Selkirk Protocol Book 1511-1547 published by The Walter Mason Trust. The Protocol Book of Sir Ninian Bryden 1536 to 1564 by Teresa Maley and Walter Elliot. A Pennyworth of Elephant's Tiptaes - a century of Selkirk Shops by Nessie Marshall. Memories of Old Selkirk by J.B. Fairgrieve. The French in Selkirk by Walter Elliot. A Souter's Bairn by Jenny and J. A. Corbett. Mungo Park and the Brydons of Selkirk by James Marr Brydon. Completion of Selkirk Town Centre Development - Selkirk Town Council. Selkirk Flute Band 1859 to 2009. Family Tree of John Selkirk 1664-1704 by J Selkirk. Old Selkirk by Alex F Young - photographic record. The 20 most common on gravestones recorded by us in the Selkirk Auld Kirkyard monumental inscriptions volume are (number of gravestones in brackets): SCOTT (36), BROWN (31), ANDERSON (30), MURRAY (23), HENDERSON (23), CURRIE (16), TURNBULL (13), SMITH (13), MITCHELL (11), LAWSON (11), ROBERTSON (10), HALL (10), THOMSON (10), STODDART (9), HISLOP (9), WILSON (9), DALGLEISH (9), GRAY (9), LAIDLAW (8), YOUNG (8). The 20 most common on gravestones recorded by us in the Selkirk Brierylaw Cemetery monumental inscriptions volume are (number of gravestones in brackets): SCOTT (83), BROWN (39), DOUGLAS (30), HOGG (25), ANDERSON (23), TURNBULL (21), ROBERTSON (20), WILSON (20), DICKSON (18), HEATLIE (18), JOHNSTONE (16), RUTHERFORD (16), DAVIDSON (16), YOUNG (16), THOMSON (16), LINTON (15), SMITH (15), REID (15), HOPE (15), BELL (14). The Burgh Court Book of Selkirk 1503 to 1545 by T. I. Rae, Scottish Record Society, 1960 and 1969. A Scottish Border Camera - The photographs of R Clapperton Selkirk, Edinburgh, 1981. Selkirk: Its Church, its school and its Presbytery by John Sharpe, Selkirk, 1914. Old Selkirk Memories by George Lewis, Selkirk, 1906. Flowers of the Forest Selkirk a New History by J. M. Gilbert, Galashiels, 1985. The History of the Selkirk Hammermen published by the Incorporation of Hammermen, 1981. Selkirk Cricket Club centenary 1851-1951 by William Anderson, Galashiels, 1954. Two Centuries of Borders Church Life by J Tait, Kelso, 1891. The 2nd. Selkirkshire Rifle Volunteer Corps enrolment book 1860 to 1904. Selkirk Five Incorporated Trades sederunt book 1853 to 1881. Selkirk Mechanics Institute Minute Book 1853 to 1889. Selkirk Burgh Public School Infant Department Log Book 1885 to 1925 ref. S/ED/2/36. Selkirk Burgh School Log Book 1861 to 1903 ref. S/ED/2/37. Selkirk Burgh Evening Continuation Classes Log Book 1895-1913, ref. S/ED/2/42. Bowhill School Log Books 1885 to 1944 ref. S/ED/2/5-6. Selkirk Weavers Corporation records 1650 to 1865 ref. SC/S/12/13. Selkirk Incorporation of Tailors Records 1733-1847 ref. SC/S/12/16. Selkirkshire Farmers Club Records 1806 to 1896. ref. SC/S/69. Selkirkshire Pastoral Society records 1819 to 1900 ref. SC/S/71. Selkirk Five Five Incorporated Trades sederunt books 1825 to 1844 ref.SC/S/12/15. Militia Lists and muster rolls of the first Selkirkshire Rifle Volunteers 1807 to 1831. Deputy Lieutenant's Minute Books 1797 to 1831. Volunteer Returns 1803 to 1903. Letter books 1804 to 1974. - ref. S/LR/1/1-5. Militia Lists for Ettrick, Galashiels Roberton, Selkirk and Yarrow 1807 and 1808. ref. D/42/6-7. Return of men between the ages of 18 and 45 in the County of Selkirk. ref. D/42/16/3. Pay Lists of the Selkirkshire Yeomanry Cavalry 1809 and 1812. ref. D/42/16/7 and 13. Enrolment Book of the Second Selkirkshire (Ettrick Forrest) Rifle Volunteer Corps 1860 to 1904. ref. SC/s/12/36/1. Selkirkshire - Medical Inspection of Schoolchildren 1911 to 1920 ref. SBA/387/6. Medical Officer of Health Annual Reports 1915 to 1962 ref. SBA/387/2. School Health Administration annual reports 1928 and 1929 ref. SBA/387/5. Selkirk Birth Records 1857 to 1885 ref; CH2/1380. Selkirk Cordiners and Souter records 1609-1830 ref. GD1/13. Managers' Minutes 1805 to 1926. Pocket Ledger of John Sibbald 1778 to 1785 - 1866. Rev. Thomas Robertson, Selkirk divine 1772 to 1805 - 1931. Carterhaugh Ba' Games 1815 - 1975. Vol 8 The sutors (sic) by Sir G Douglas. Vol. 28 Selkirk Common Riding by Dr. Muir. Vol. 30 Dr. Stewart Muir of Selkirk (1845 to 1838) by Will Rutherford (available in Society Archive). Vol 30 Medical Practice in the 19th. century. Vol 39 Standard Bearers of Selkirk. 1951 I'll never forget - the Souters' historic heritage by Hugh Moran (available in Society Archives). 1951 Cricket Centenary -Philiphaugh Play and Players by William Anderson (available in Society archives). 1952 A Souter looks Back by Chris Reekie (available in Society Archives). 1952 A Souter's Memories by Bob Anderson (available in Society Archives). 1952 Selkirk Merchant Company by Bailie Alexander Macdonald (available in Society Archives). 1952 Round the Marches by David Mackie (available in Society Archives). 1957 Selkirk Sings - history and Common Riding songs by William Anderson (available in Society Archives). 1961 It's up with the Souters of Selkirk by Chris Reekie (available in Society Archives). 1961 Looking Back - Selkirk Characters in other years by John C Bateman (available in Society Archives). Auld Selkirk complete with a selection of old photographs. 1841 census: Selkirk, South Port, Townhead, Haining, Heatherly, Bellsheugh, Greenfoot, Dunsdale, Dunsdale Haugh, Sloethoirnbank, Pine Grove, Greenbank, Raebank, Halliday Park, Broomhill, Deanburn, Myrtle Bank, Pine Bank, Byethorn, Ladylands, Loanhead, Philiphaugh, Bowhill, Gilkkeekit, Carterhaugh, Oldwark, Newark, Blackandrew, Fastheugh, Broadmeadows, Yarrow, Fowlshiels, Falside, Harehaed, Todrig, Haining Rig, Hartwoodburn, Greenderning, Brounmoor, Moat, Middlestead, Hartwoodmyres, Oakwod, Fauldshope, Shielshaugh, Howbottom, Collons Bridge, Oakwoodmill, Howden, East Comm, Lochslacks, Deepslades, Shawpark, Shawmount, St. Helens, Shawburn, Yair, Ralees, Sunderland Hall, Linglee, Sweepsnest, Ettrick Bank, Greenhead, Whitmuirhall, Whitmoor. 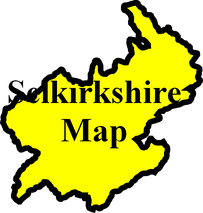 1851 census: Selkirk, Kirkwynd, Haining, Heatherly, Bullsheugh, Greenfoot, Dunsdalehaugh, Shawburn, Elmpark, Haladays Park, Dovecote Park, Knowpark, Philiphaugh, Bowhill, Old Newark, Fastheugh, Broadmeadows, Foulshiels, Fallside, Howden Oakwood, Hartwoodmyers, Shielshaugh, Carterhaugh, Bowhill, Middlestead, Brownmoor, Hartwoodburn, Todrig, Bleachfield, Shawmount, Shaw, Shawpark, Sweepsnest, Linglie, Sunderland Hall, Ralees, Yair, Craig, Williamhope, Greenhead, Whitmuirhall, Ettrickbank. 1861 census: Selkirk, Dunsdale Haugh, Shawburn, Heatherlie, Philiphaugh, Foulshiels, Broadmeadows, Bowhill, Fastheugh, Newark, Oldwark, Carterhaugh, East Fauldshope, Shielshaugh, Oakwood, Hartwoodmyers, Howden, Hainging, Sunderland, Raelees, Yair, Whitmuir, Greenhead.